« Seventh Chocolate Carnival @ Pécs – 2019. 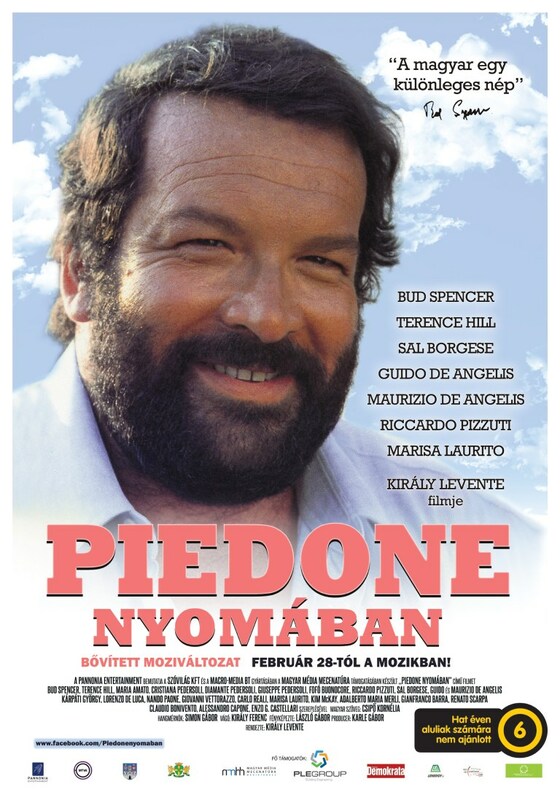 “Tracking Piedone’s Footprint” – Hungarians favorite flying fists – slapping machine arrived to the Hungarian cinemas, introducing the most comprehensive portrait of Bud Spencer. Piedone, the spaghetti western guy, placed himself into the hearts of many movie lovers across the World. Originally, started his career as a successful athlete, he was a professional swimmer and water polo player. He was the first Italian swimmer to achieve a one-minute result in 100m freestyle. For many of us, luckily he stepped out of the pool and began filming and became an actor and what an awesome actor! The extended version, color, Hungarian portrait, 90 mins, 2019. Hungarian sync. Age limit above 6 years old. There is hardly a generation who has not met … seen any Piedone films. Many say those where the days when heading to the movie was a real gig, growing up on his movies. During the period of the 70s-80s gained such a success not just in Hungary but throughout the world, even yet to-day … no matter how many time it was seen before is still extremely popular. Bud Spencer – born Carlo Pedersoli went ahead June, 27.2016. in Rome at the age 86. His fans mourned around the world. Gone with him a true renaissance man of our modern age. This year would he would be 90 years old. Unfortunately, our „slapping hero” is no longer with us. In honor to the anniversary, within the 90-minute-cut cinema film can catch-up, hear interviews from his era’s artists, never seen archival materials, family photos, his former athletes, colleagues and co-workers talking about Bud Spencer, and of course bits-and-pieces of his iconic films will also not be missing. The film was recorded for over four years in five countries with forty-five contributors. The film presents a lifetime of the legendary to the less well-known side of his exceptional personality. Carlo Pedersol more better known as the tough fists Bud Spencer portrait film had its premiere on February 28, 2019 at Budapest, Szeged, Debrecen, Balassagyarmat, Szombathely, Eger, Szentendre, Zalaegerszeg, Jászberény, Nyergesújfalú … to reach fans at the four corner of Hungary. The film was brought to Hungary by the Pannonia Entertainment Ltd.